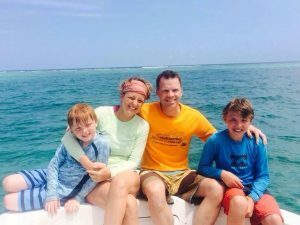 I was diagnosed with breast cancer in 2007 at the age of 30, seven months pregnant with our second son. Our world came crashing down–yet through it all, we were focused on hope. Our doctors, friends and family–everyone–believed we would “beat” cancer. And, we did. I was the poster child for beating cancer. Literally–I was on a poster for a local cancer organization. I ran marathons, climbed mountains, raised our kids with joy and confidence that cancer was behind us. I turned this scary time in my life into something positive to help others by starting a nonprofit organization called Hope Scarves. We collect scarves and survivor stories and pass them on to others in treatment. Since our founding in 2012, we have sent more than 6,000 scarves to people facing over 90 types of cancer in every state and 12 countries. Our oldest recipient is 92 and our youngest, 5. By sharing our stories, we find common ground and process what has happened. We pass along our strength to others. Yet, in those first years, Hope Scarves was just like so many other cancer organizations blindly telling the “happy side” of cancer. We were focused on survivorship. At a YSC conference in New Orleans, a mother donated a scarf and story in memory of her daughter who had died of breast cancer. I kindly took the story and hugged this shaking mom. But, I tucked that story away, thinking, “We are hope scarves. Not sorry-for-your-loss scarves.” I didn’t want to share sad stories. How short sighted of me. 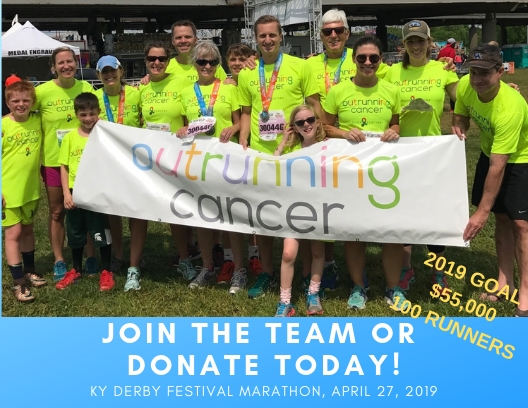 After all the pinkness–the races, the walks, the soup cans and our society doing just about every possible thing you can imagine “for a cure”…this is the best you’ve got? I was floored. Angry, depressed, numb. How could this be? I fell into a dark depression. I would be responsible for the single most devastating thing my young kids would experience–watching their mom get sick and die. How could this be happening? This diagnosis was nothing like my stage II diagnosis,when people came out of the woodwork to encourage me and share their success stories. This diagnosis was isolating. Terrifying. Then, I met Mary Ann. She also had MBC, but her laughter and smile didn’t show it. Mary Ann grabbed both my hands, looked me in the eye and said, “If you had five minutes to live, would you spend a second being sad?” She helped me see hope isn’t just found in medical breakthroughs and good scans. It’s found in a hug, laughter and simple moments of living life over cancer. Mary Ann helped me live again. Mary Ann died this year. As I watched friend after friend progress with this disease, I found organizations and people who were working to change the landscape of metastatic breast cancer. I also learned that people in the metastatic community felt so disappointed and left behind by the “pink machine” that they created their own ribbon–it’s teal and purple with a little pink. They created new names like metavivor, forever fighter, lifer. They are defining what it means to live with stage IV cancer. I am so thankful for their work and the growing movement to bring metastatic breast cancer to the forefront, but more than anything I am upset. The most sick, afraid and hurting of all breast cancer patients felt so alienated by the movement set out to help them that they created their own ribbon. They condemn the pink ribbon. How did an effort set out to “cure breast cancer” become so short sighted? And, I was one of them. 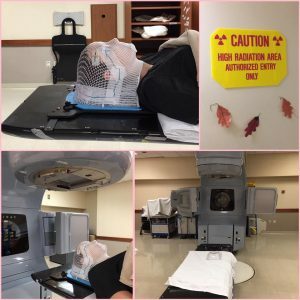 I was naively focused on survivorship and beating cancer at Hope Scarves–sharing happy stories of people who kicked cancer and went on to live happy, healthy lives. So, starting with my own organization, I made changes. We stopped saying words like “beat cancer” and instead, we say, “face cancer.” We don’t collect survivor stories at some magical point when you move from a patient to a survivor. No, you can share your words of encouragement and hope at any point. From the moment cancer touches your life, you are surviving. You have a story to tell. It’s not about living life after cancer. It’s about living life over cancer. But, more than anything it comes down to research. We expanded Hope Scarves’ mission to invest in metastatic breast cancer research. And, to date, we have committed $150,000. Think of the impact we could make if EVERY breast cancer organization dedicated a portion to metastatic breast cancer research. How quickly the depressing 3% given to research would increase. Could we accelerate the pace of discovery to change treatment plans from waiting for the cancer to grow to stopping it? Could we extend lives? Could we save lives? most vibrant pink of all. Early stage survivors would celebrate their health and then DEMAND more money for metastatic research. Because the reality is, once cancer impacts you, the chance of reoccurrence is 30%. It doesn’t matter what stage you were originally diagnosed or how long time passes. But, if research can find a way to make this a chronic disease instead of a DEADLY disease–every one of us in pink is better off. We, as a breast cancer community, HAVE TO BE the driving force to make this happen. We can’t just celebrate the happy stories. We must tell the WHOLE STORY. My goal is simple–I want metastatic patients to be the core of the breast cancer movement. For each of us to feel supported through more research dollars, encouraged by early stage survivors, understood and not forgotten. Raise your voice. Demand more money for metastatic breast cancer research. Reach out to someone facing stage IV breast cancer. Together, we can ALL live life over cancer. Count all people – We don’t know how many people actually have MBC because of the way we are currently counted. Please sign this petition to change this! Young Survival Coalition is urging the new President to focus at least 50% of research dollars to examine metastasis in young women, including how to cure metastasis and how to prevent it. Donate to the Hope Scarves metastatic research fund. Christine is a scarf recipient and story donor with an infectious positive attitude. Read about her love of horses and why she wishes more people would send a scarf to a loved one going through treatment.